This is my first wallpaper of Chobits after a long time. I have extracted de image from a screencap and after that I have vectored and apply some textures. Cutie! Chibi chii and chibi hiroki! I love it! XD Vey cute wall! xD I love the way chii looks! XD and the colors! and.. the effect or texture.. =D it's a very good job! this pic is soo funny!LOL! thanks for sharing. Sooo cute! Loved the texture. Great vector! this is love, how cute ^^! auu! beautifull, beautifull, beautifull! kawaii! I love chii! or elda? how ever i love it! 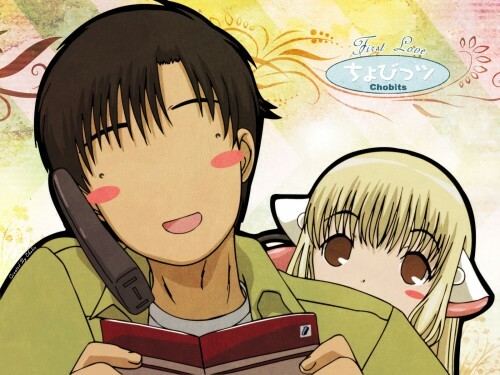 CHOBITS I LOVE YOU ! lol...hideki being hideki...cute! Thank you for sharing!